There are sweet spots in life. For me it’s the return of the men’s AFL (Australian Football League for our international readers -– Australia’s national obsession which some describe as a cross between Grid Iron without the protective gear, world football and ping-pong – go figure!). The season really started eight weeks ago when AFLWomen’s kicked-off. I plan my Saturday to be at the gym so I can listen to The Coodabeen’s while trying to coax the legs along the treadmill and to compensate by slouching on the couch for Fox AFL 360 most week nights. For those thinking ‘How could you Craig?’, I promise that I try to read sophisticated books and do hard work in between! Speaking of reading, I’ve had reason to review the Qualifications Pathways Policy of the Australian Qualifications Framework (AQF) and I’m disturbed. Why? The policy explicitly states that credit should operate between Certificate I, II and III only, or between Diploma to Bachelor, with suggested credit amounts offered for the latter and some lame words that the VET sector should be able to look after credit issues for certificates. Really? Firstly, what happens with Certificate IV, but more importantly why the heck do we stop progression up the qualification ladder for those holding a Certificate III? We tend to brag about our AQF but as a report prepared by Philips KPA for the current AQF review concludes, that was for the original AQF, not the 2013 strengthened AQF of which this policy forms a part. They conclude:….other countries, particularly in Europe, have moved beyond the (Australian AQF) concept of … frameworks principally as a tool to establish transparency and equivalence of qualifications, towards qualifications frameworks as a tool to facilitate an agile workforce suited to rapid technological, industrial and social change (page 10). It even runs counter to the framework’s own stated principles of helping people to “move easily and readily between different education and training sectors” and “to progress through education and training”. What are we telling the 2.2 million Australians with Certificate qualifications? Their training doesn’t count if they want to embark on further learning? Our political leaders love to point to “the fair go” as the great Aussie ethos. But not for VET it appears. What standing are we giving vocational education? Very little it seems. How did Ministers allow this? I suspect they didn’t get to see it. The AQF Council was disbanded in 2014 and responsibilities moved to the Commonwealth Department of Education and Training. I’ve worked in their building, all 11 stories. If the principle applied there, workers on Levels 1 to 3 could never go to work on higher levels. The public service gave that hierarchy crap away long ago, yet here we have it in plain sight within a national policy instrument. Why hasn’t been picked up? Luckily it seems nobody pays any attention to the policy anyway. A background report on credit concludes that not many players in tertiary education know of it or use it. How is it fixed? Luckily, the AQF is currently being reviewed so it should be able to be fixed. While that’s a lucky break, this statement of clear intent, endorsed by Ministers or not, runs against the education ethos in our country that everyone can proceed up the ladder of success, whatever the starting point. This policy misstep compromises the whole AQF and fundamentally discredits our education system. Am I mad, you bet I am! I went to the St Kilda vs Gold Coast match yesterday. Many pundits are putting these teams as cellar dwellers this year. But at least they have a clear ladder they know that hard work will allow them to climb. Western Sydney is set to get a new $80m “super” TAFE campus specialising in construction, following the Liberal-National coalition’s victory in Saturday’s NSW election. TAFE was a feature throughout the campaign with both sides promising new capital works and funding increases. With Premier Gladys Berejiklian’s government returned to power, the state is set to see new TAFE campuses and expanded free TAFE courses. The centrepiece is the promise of a new Western Sydney TAFE campus that will deliver training in key areas of skills shortage such as carpentry, construction, electrical and plumbing. The precise location is still to be determined. The Coalition will also spend $62m to build eight new TAFE campuses in rural and regional areas that have not prevoulsly had a TAFE – Batemans Bay, Byron Bay, Cobar, Hay, Jindabyne, Nambucca Heads, Nelson Bay and West Wyalong. It also promised a total of 700,000 free TAFE courses over four years and $227m in new funding. A unique teaching approach has more than tripled Aboriginal students’ completion rates at TAFE, according to new research from the University of Sydney. Dr Gwynne’s paper scrutinised the first cohort of students who enrolled under the Poche Centre’s training model. Her analysis identified seven key factors which improve outcomes for Aboriginal students. These include ensuring enrolling students were motivated and had strong community support; ensuring Aboriginal support staff were involved in all aspects of the program; ensuring training took into account students’ financial needs, academic requirements and family commitments; and fostering connections and relationships between students. “Vocational training is an important pathway into the health professions for Aboriginal people but completion rates for Aboriginal students are typically poor,” Dr Gwynne said. “It is possible to improve completion rates if vocational training is designed to meet the cultural and familial needs of Aboriginal students. We’ve called this initiative Project5000, as we ultimately want 5000 Aboriginal people to be qualified and in local secure jobs. “We are eager to offer the program to more communities and more scholars,” Dr Gwynne said. The closure of the prominent private training provider, BCA National Training Group Pty Ltd (BCA), highlights the impact of funding uncertainty and red-tape on the sector, the Australian Council for Private Education and Training (ACPET) says. BCA entered into liquidation on 18 March, and appointed PKF Australia as liquidator. BCA ceased teaching students on 19 March. ACPET Chief Executive Troy Williams said providers across the independent tertiary education sector face a significant red-tape burden placed upon them by several regulators, as well as funding uncertainty. “The former BCA Managing Director, Mr Bruce Callaghan, is an individual recognised across business and government for the leadership he provides in the sector,” Mr Williams said. He served as ACPET chair until late last year. 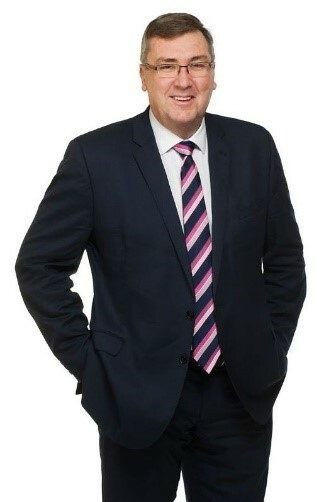 “The liquidator is currently liaising with the sector’s regulator, the Australian Skills Quality Authority (ASQA), and the Tuition Protection Service (TPS), as well as exploring opportunities with other Registered Training Organisations to facilitate the transition of students to new providers as a matter of urgency,” Mr Williams said. Prime Minister Scott Morrison has announced new measures to encourage students to study at regional campuses and, for international students, extra post-study work rights for university study in the regions. The measures are contained in the government’s new population plan Planning for Australia’s Future Population. It includes a new program to provide more than 1000 scholarships annually, valued at $15,000 each, to support both domestic and international students to study at a regional campus. It will be available to students studying from Certificate IV level to Doctorate level. For international students, there will also be an additional year in Australia on a post-study work visa for graduates who studied at a regional university and can demonstrate ongoing residence in a regional area. The Canberra Institute of Technology (CIT) is one of two organisations selected by the ACT government to deliver programs to address barriers to work faced by older Australians and mature age apprentices. CIT and the Canberra Business Chamber (CBC) will deliver the programs and share in funding under the Mature Workers Grants Program. “I’m pleased to announce this new grant funding of $500,000 that will go towards supporting mature workers who want to take advantage of new work opportunities, particularly in growth areas of our local economy,” the ACT Minister for Vocational Education and Training Meegan Fitzharris said. CIT will assist mature workers to overcome barriers to reskilling and upskilling by providing high-quality case management services, and provide access to tailored training opportunities and engagement with potential employers, the minister said. CIT Executive Director Industry Relations & Strategic Engagement Paul Ryan said CIT was proud to support mature workers as part of the initiative by providing a range of supportive measures and opportunities in collaboration with industry partners. “The program will also help address the needs of local businesses seeking to employ more people,” he said. TDA and Year13 have committed to working closely together to help young people better understand tertiary education, as well as providing youth engagement insights to our members. As part of this collaboration, Year13 will provide regular contributions on key programs and areas of research relevant to our readers. Throughout our research we’ve been interested in identifying factors that influence young people’s post-school decision making process. This is especially important as NCVER’s most recent quarterly report reveals decreases in both commencements and completions for apprenticeships and traineeships over the past four years. We found that a better understanding of VET pathways leads to a better consideration. For example, 64 per cent of young people said they would consider an apprenticeship more seriously after learning that apprentices have the potential to finish their training $100,000 ahead of university graduates due to apprenticeship earnings vs the HECS debt of a higher education student. This year we are continuing our Truth Project workshops, a program designed to help high school students identify their strengths and career goals, as well as empowering them with the skills to pursue them. An important part of this is to alleviate any biases they may have regarding certain pathways and to provide fair information about all available options. Through this, we aim to highlight the benefits of studying through VET they may not be aware of. For more information on The Truth Project, click here. The federal government has provided $350,000 to the National Rugby League (NRL) to encourage more people to pursue career pathways through VET and Australian Apprenticeships. The Minister for Skills and Vocational Education, Senator Michaelia Cash said the extension of the program for a further year would support an extra 20,000 Australians to engage in VET. “This funding will support the NRL’s work to provide player and community education, including NRL VET Ambassadors who continue to share their success stories and promote the value of Australian Apprenticeships and VET qualifications throughout the country,” Senator Cash said. The Commonwealth Department of Education and Training will release an Approach to Market (AOM) for the procurement of evaluation services for eleven categories of the Australian Training Awards. The AOM will be released in June and will seek an evaluator to support the judging of individual award categories between July and November, ahead of the awards ceremony in Brisbane on 21 November. The role of the evaluator will involve reading and assessing the eligibility of applications; participating in shortlisting, site visits and final judging of applications; and drafting shortlisting, site visits relating to final judging reports.